There are some days when we feel like Eeyore the Donkey from Winnie the Pooh. The poor donkey has a “penchant for gloomy ruminations,” said Tigger. 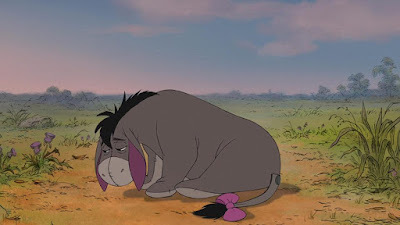 For example, even a small setback takes a sad downturn in the mind of Eeyore, “End of the road… nothing to do… and no hope of things getting better.” It sounds like the paralytic man lying next to the pool for 38 years. When Jesus asked the paralyzed man, “Do you want to be well,” the man complained how he had been waiting for 38 years for someone to help him get to the water of the pool so as to be healed. It was as if he was saying, ‘I’ve got no one to help me, and I can’t help myself.’ The man was not only afflicted with physical illness; he no longer desired to be healed and had given up up. There was a hint of resentment in his reply as well as if to say, ‘Some people always gets what they want, but I’m always left out.’ So Jesus was dealing with a sad person who felt defeated by life. He felt like there was no one to help him. Do we feel like this at times, feeling defeated by life? Do we feel paralyzed by an inner sadness from sin we have not let go of for a long time? Our Lord said to the paralytic man, "Rise, take up your mat, and walk." Later he told him, “Do not sin anymore so that nothing worse may happen to you.” It’s as if Our Lord is saying to him, ‘You say that you have no one, but you’ve got me. With me, you are healed. 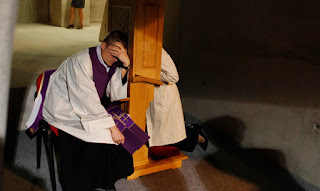 Now strive to live a holy life.’ Just as the paralytic man was physically healed, we are healed in the Sacrament of Reconciliation in which our inner soul is healed of its wounds. We have to turn and rely on God to lift us out of our spiritual paralysis. A 14th century mystic, Julian of Norwich, wrote a revelation received from Our Lord, “What is impossible to you is not impossible for me. I shall preserve my word in everything, and I shall make everything well.” There are days when we feel sick or sad in spirit--perhaps disappointed in ourselves for our past mistakes. But through the stirring of the Holy Spirit we hear from Jesus in our soul, “Do you want to be made whole again?” While at present we feel there are challenges beyond our strength, the grace of Our Lord thrusts us to stand up and walk along Christ’s Way. Each day we rely on the mercy of God to heal us physically, mentally, and spiritually. Mary Hudson is a gifted preacher and a mentor to many Christian women. But she’s also the mother of Katy (Hudson) Perry--one of the most famous pop singers in the world. When Mary was pregnant with Katy, a minister prophesied that her child would stand before kings and presidents. As a young girl, Katy wrote worship songs and performed them in church. People in church would weep when Katy sang. However, Katy abandoned her Christian faith and scandalized her parents with her provocative and shocking music videos. 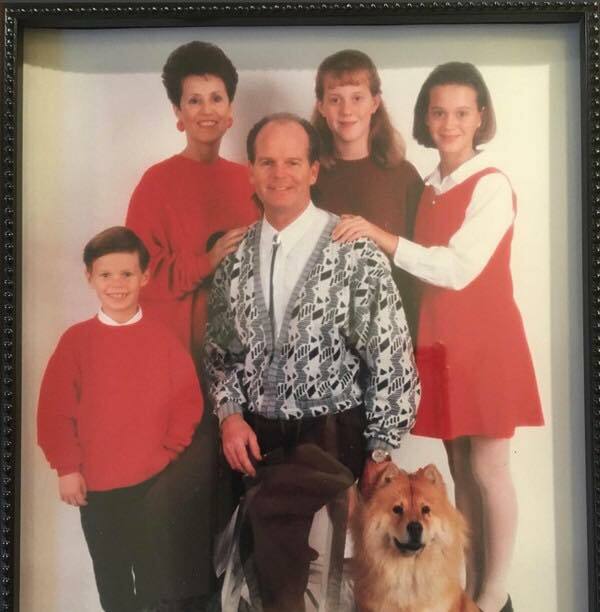 Christians would ask Mary and her minister husband Keith, “How could you have a daughter like that?” Despite criticisms, Mary and Keith have chosen to love Katy no matter what. They stay in close contact with her, and Mary sometimes takes calls in the middle of the night from Katy because of her non-stop concert schedule. Mary advises other parents with children who have left their Christian faith behind. She believes unconditional love and support is essential—not judgment, anger or estrangement. “It’s only the love of God that will bring them back,” she says. “Don’t cut them off. You have to rise above your feelings. You must stay in communication.” In Katy’s parents’ unconditional love for her, we see a glimpse of the Heavenly Father’s merciful love that is revealed in the Parable of the Prodigal Son. In today’s Gospel, the Pharisees and the scribes resented Jesus for welcoming tax collectors and sinners to his circle. In their beliefs, such sinners would be shunned and cast out. In response to their resentment, Jesus uses a parable to teach of God’s love and mercy. While the Pharisees and the scribes imagine God to be stern and ready to punish, Jesus revealed God as a merciful father who waits patiently for the return of his wayward children. 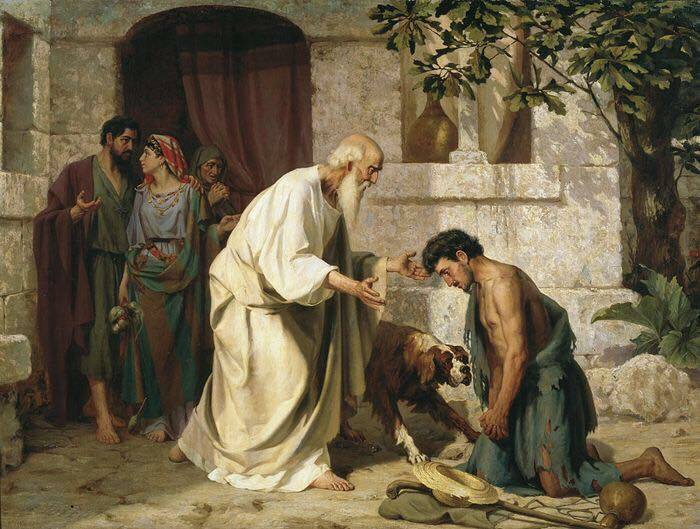 This well-known story of the Prodigal Son reminds us to ponder how we see God and how God longs for us. One saint said, “Human life is in some way a constant returning to our Father’s house...the story of the prodigal son repeats itself in our lives.” Who of us here has not experienced some kind of discontent in our lives--discontent about our vocation, marriage, spouse, children, career, our possessions--and even thought about running away from it all. Something “out there” seemed more attractive to us, so beautiful, so new, and so different from the ordinary and familiar. The Prodigal Son was tempted by such luring thoughts, yet learned the hard lesson that in the end there was no joy, no light, no peace, and no love outside of the Father’s love. The Prodigal Son had a great yearning--a yearning I call a thirst for love. 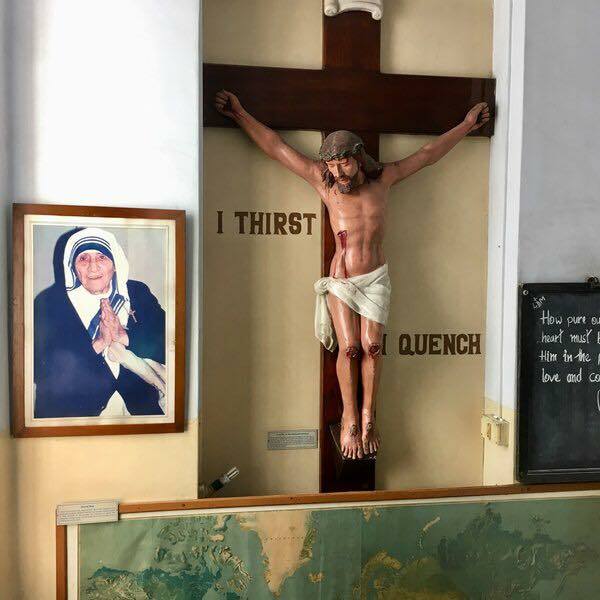 Everyone thirsts--thirst to love and to be loved. Everyone goes in search for love, and in that search, people wander away and sin, separating themselves from the very source that can quench that thirst. Someone beautifully wrote, “The one who seeks only human love to quench his or her thirst will be thirsty always, for mere human love, especially when it is sought selfishly or sinfully, can never satisfy the depths of the human heart. But those who seek love in God will never lack, will never be empty, and will never thirst in vain.” At times we feel stuck, stifled, and bound--in other words, thirsty. That thirst is quenched when we experience reconciliation with our God of mercy. This thirst for God’s love is a window to understand another person’s thirst to be loved. The older son representing the Pharisees and the scribes did not understand the younger son’s thirst, therefore he did not understand his own father’s merciful love. Merciful love has nothing to do with giving someone what they deserve; rather, merciful love is offering to another person what they do not deserve. Perhaps Mother Teresa’s words would illustrate this point, “Our aim is to satiate the infinite thirst of God, not just for a glass of water, but for souls. Souls are immortal, precious to God.” Both the Prodigal Son and his older brother needed conversion. The younger son needed to turn away from worldly delights and refocus his relationship with his father; the older son needed to realize that it wasn’t his perfection that earned his father’s love. In reality both sons were utterly poor--they were clothed, housed, and fed by their father’s generosity and love. The younger son came to his realization of his poverty through his own sinful mistakes. The older son is not there yet, but his father still hopes. Do you ever struggle with the question, “Does God really forgive me?” Often we experience a nagging feeling of guilt even after receiving the Sacrament of Reconciliation. That guilty feeling recurs especially with our habitual sins that we have struggled with for many years. Also when a stray memory reminds us of a wrongdoing or fault from our past, the feeling of guilt resurfaces. Today’s First Reading reminds us that God is pleased when we come to Him with our humble and contrite heart. Our baptismal promises call us to strive to break out of our habit of sin, a sincere effort toward changing our lives. God is also pleased when we show our gratefulness to him. One way to show our gratefulness is to slow down our frantic pace of life so as to notice God’s gifts of love being showered upon us. When we dwell in the past--what we have done to others and what others have done to us—we fail to notice even the simple gifts of a smile from our spouse, a glorious sunshine, and a freshly blooming rose. One week ago, the Jefferson House Children’s Emergency Shelter was bustling with activities. Located in Omaha, Nebraska it is a safe haven for children whose parents abandoned them, or who were living in an inhospitable environment. But today, the house is empty. Chris Sewall, the director of this emergency shelter for at-risk children and teens, has been laboring with a push broom to push out the mud out of the facilities following the recent historic flooding in the midwest. The state of Nebraska alone estimates that the recent flooding has caused $1.3 billion in damage. 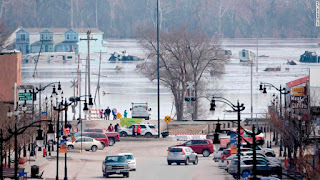 Many of you may have seen the surreal photos and videos of submerged farmland in the midwest states. It seems that when we open up the newspaper or turn on the TV, we are bombarded with news of catastrophes and unimaginable sufferings. 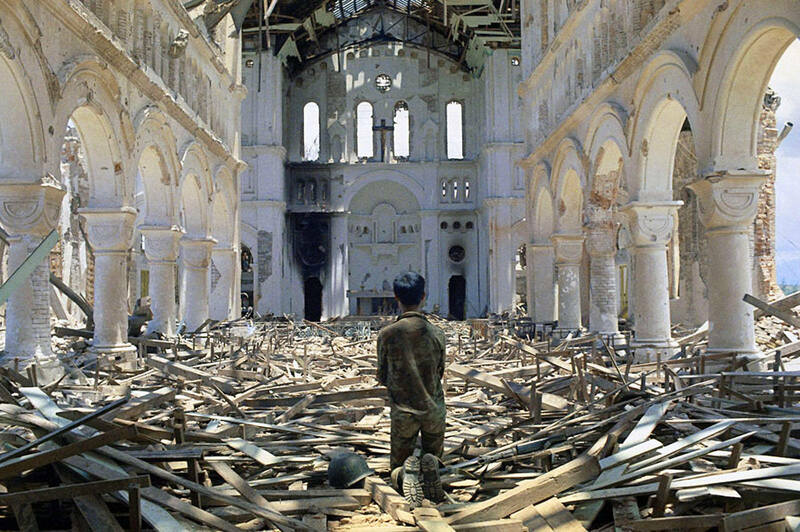 Just this past month, we’ve seen news of the historic flooding in midwest, crash of an Ethiopian airplane, a massacre in mosques in New Zealand, a bombing of a Catholic cathedral in the Philippines, and devastation by a cyclone in Mozambique. It is natural for us to question, “Why do these events happen? Is God angry with us?” During the time of Jesus, people were wondering the same. Jesus mentioned in today’s gospel two incidents in which people were killed tragically. In one incident, Pontius Pilate, the Roman governor of Jerusalem, had soldiers kill a group of Galileans who had come to Jerusalem to worship in the temple. In another incident, a tower in Jerusalem unexpectedly collapsed, killing 18 people. Jesus rhetorically asked whether those who died in those tragedies were more guilty or sinful than others in Jerusalem. Jesus said that it wasn’t so. And, he warned them, “if you do not repent, you will all perish as they did!" It is tempting to associate catastrophes and tragedies as punishment from God. It is easy for us to judge those who suffer from tragedies as guilty of sinfulness, while excluding ourselves from judgment. But is this the Good News that Jesus was proclaiming in the Gospel? It is easy to be swept up in fear as we hear that we are to change our ways, right now. Yet, we are painfully aware how we are slow to change and how difficult it is for us to uproot our bad or sinful habits. Like the servant who patiently dresses and nurtures the tree without fruits, Our God is patiently cultivating us, pruning our vices and fertilizing our virtues, to bear fruit for His Kingdom. He is inviting us to use this present moment to the fullest, not wasting time in useless pursuits of the world, rather to refocus our lives as merciful instrument of God’s love. What can we do concretely today to refocus our lives? The first step is to confess and repent our shortcomings and prejudices. This coming Tuesday following mass and the Divine Mercy novena and the Chaplet, the priests of our deanery will be at Ascension Church to offer us the Sacrament of Reconciliation. This blessed season of Lent is for us to grow in our faith and prayer, to encounter the God of patience and merciful love. While we get weighed down by our faults and failings through life, Jesus never departs from us; when he sees that we are making an effort to change, he comes to assist us with his grace. He believes in us even when we don’t believe in ourselves. The next step is to actively seek ways to change. St. Therese of Lisieux reminds us, “Our Lord does not so much look at the greatness of our actions, or even at their difficulty, as at the love with which we do them.” Let us reach out to Jesus through our prayer, repentance, and Eucharist so we that we are strengthened to emulate His love and mercy. How do we know whether we are following God’s Will, that is, what He desires for us? Are our personal goals and ambitions in line or at odds with God’s Will? Here is a series of prayer images that can help us discern with Jesus. In a gentle flowing river, you are in a small rowing boat. As you row, your back faces the direction of the boat. Jesus sits on the stern (back) side of the boat as he watches you row. The river is the flow of God’s grace and will. You decide where you’ll head toward and how fast you get there. At times it’s difficult for you to row because you’re going against the direction of the flow. Converse with Jesus about whether you’re going in the direction of Father’s Will or against His Will. He is attentive and smiling at you as you mention to him about what is going on with your life at this moment. You switch sides and allow Jesus to sit in the bow (front) side and row the boat. Symbolically you relinquish your plans momentarily to see where Jesus is taking you. You see the direction where he is taking you, and a part of you is drawn to the new direction yet you have some reservation as well. Converse with Jesus about what you are struggling to relinquish at this moment in your life. Jesus raises the sail and allows the wind to propel the boat. The Holy Spirit is the wind filling the sail, pushing the boat forward. You relinquish both your desire to know where Jesus desires to take you and the desire to know how Jesus is going to take you there. You surrender your plans and ambitions, desiring only to please Jesus. Converse with Jesus about your readiness and willingness to desire only what He wants for you. Jesus desires for us to use our freedom to choose to serve--to decide to put others first in my care and concern. Are we willing to decide to serve others with love and compassion rather than for desire for a reward. St. Joseph was a man of principle and a man of mercy. In the few passages in the Bible regarding Joseph, we know that he was a righteous man who followed the law. He observed religious law — he went to Jerusalem for the Jewish festivals — and He also followed civil law — He went to Bethlehem for the census. We also know that Joseph had dreams. God spoke to him in his dreams and he followed the message in his dreams. While the law of the land allowed shaming and even the death of a spouse who was unfaithful, St. Joseph chose the path of mercy, and did not allow Mary to be shamed, or place her life in danger. He sought the will of God in situations that he did not understand, and he sought the grace of God for the mission he was given. He protected his family from Herod’s soldiers by leading Mary and infant Jesus to Egypt. Not only did he seek the Father’s will, but he also responded with action. We venerate St Joseph today first and foremost because he loved God, and because he loved his Jewish faith and his community. We especially venerate him today for loving his wife and his child. We call upon St. Joseph to strengthen our fathers, grandfathers, husbands, and brothers to emulate his virtues. “I’m not afraid of death, father,” a parishioner told me from her hospital bed. “I had a near death experience and was led to a bright light in the tunnel. Now I’m not afraid of dying.” Her experience is similar to that of other folks who had a near death experience. She had received a vision of hope and now her confidence and trust in God are unshakeable. We all need a vision of hope to give us confidence and trust to face the trials of this earthly life without being discouraged and afraid. Why did Jesus allow Peter, James, and John a glimpse of his divinity at Mount of Transfiguration? The Transfiguration revealed his perfection of life in heaven. Jesus knew that his betrayal, passion, and crucifixion awaited him in Jerusalem. He knew that his disciples needed the hope and confidence to sustain them as they headed toward Jerusalem. The glory they beheld was the glory that Jesus wanted to share with them. They needed to hear the voice of the Heavenly Father through the cloud urging them to listen and ponder all that His Son was going to say to them. The disciples would remember this Voice of the Father later on when they encountered hardships of following Jesus. Abram also received from God a vision of hope that awaited him-- a promise of descendants as numerous as stars in the sky. His hope against hope prompted him to begin an arduous journey of moving his family, livestock, and possessions 1,500 miles across the barren desert over the course of months. “We walk by faith, not by sight,” St. Paul said to the Corinthians, and the faith of Abram was precisely in obeying a command from a God that he could not see, putting his trust into action by walking to the promised land. I often hear folks ask, “How do I know that I’m on the right path? I pray, I go to Mass, and I try to live right. But I’m disoriented and confused by the hardship I’m facing. Am I going the wrong way?” St. Paul was familiar with hardships while staying on the right path of God. He wrote to the Christian community in Corinth who were going through terrible trials and tribulations with this encouragement: “We hold this treasure in earthen vessels, that the surpassing power may be of God and not from us. 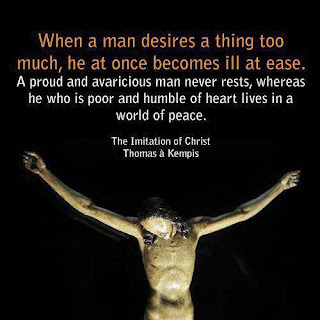 We are afflicted in every way, but not constrained; perplexed, but not driven to despair; persecuted, but not abandoned; struck down, but not destroyed; always carrying about in the body the dying of Jesus, so that the life of Jesus may also be manifested in our body. 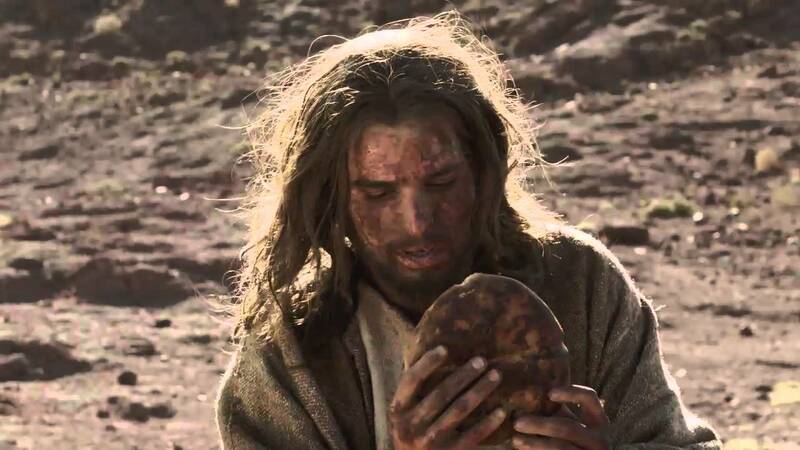 (2 Corinthians 4:8-10) We are like fragile jars made of clay, yet we hold in these jars the indomitable Spirit of God who provides the grace to persevere through suffering and hardships. The hope that the Holy Spirit instills in us is a vision of our happy life in eternity with God when He calls us from this life. Until the moment God calls us to Himself, we strive to live joyfully in God’s love and mercy, sharing generously with our neighbors what we have received from God. There is also a possibility that when we feel our life is disoriented, that certain aspects of our life may be out of balance. Counselors typically ask basic questions: “Are you getting enough sleep? Are you eating right? Are you getting some physical exercise? Are you under heavy stress?” We should also ask ourselves, “Have I put all of my hopes on someone or something instead of God?” When our hope is misplaced or we are excessively attached to someone or something, we do not have peace. Peace comes when we realize that God who loved us and created us, wants us to make choices in our daily life that draw us closer to Him. While persons and things of this world are created out of God’s goodness, if we do not prioritize our desires first on God, we may attach ourselves to someone or something that cannot fulfill the hole that only God Himself can fill. 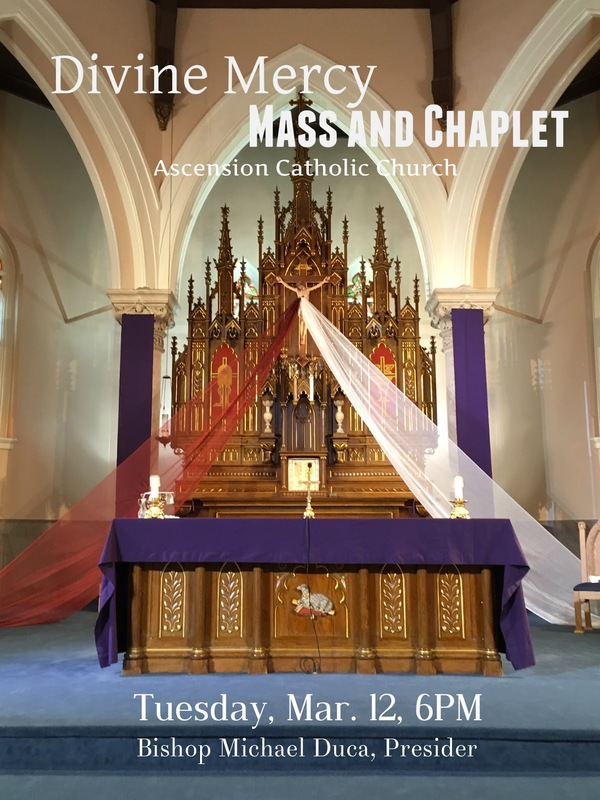 Please join us for the novena Mass and the singing of the Chaplet of Divine Mercy with Bishop Michael Duca as the presider and Staci Gulino as the cantor. Do you remember owning a walkman? 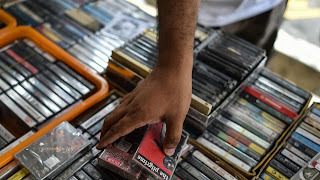 Do you still use them? That was not so long ago! Now a video camera, a music player, a game boy, a desktop computer, and an artificial intelligence all fit into a small candy-bar sized device we now call a smartphone. One can argue that human beings have come a long way in advancing technology in such a short time. But has human nature advanced and evolved to the same degree? Not much has changed in our human nature since the Fall of Adam and Eve when they realized that the forbidden fruit was good for food, delightful to the eyes, and desirable for gaining wisdom. Like Adam and Eve, we are susceptible to temptation by the evil one; we are still attracted to what appears to be good, pleasing, and satisfying to our senses. It’s not that creation itself is bad; what’s bad is our inordinate or excessive desires to satisfy the self at the expense of a relationship with God and neighbor. Satan tempts us to redirect our love for God toward love of something far inferior--food, pleasures of flesh, possessions, security, vanity, and pride. For 40 days and 40 nights in the desert, Jesus showed us how to respond to the the devil’s temptations by relying on the Word of God. First the devil tempted the hungry and famished Jesus to turn the stone into bread —- a temptation to satisfy the flesh with pleasures. Jesus rebuked Satan by the sufficiency of the Word of God, showing us that relying on the Word of God will bring peace to our disordered desires for pleasures of the flesh. Second, the devil tempted Jesus with the lust of the eyes, promising all earthly power and possessions. Jesus rebuked Satan with the first of Ten Commandments, showing us that our fundamental purpose is to love and worship God alone. Lastly, the devil tempted Jesus with the lust of pride, to tempt Jesus to test His Father, thereby making himself the center of importance. Jesus rebuked Satan quoting Moses who warned the Israelites not to test the Lord. Jesus showed us that it is necessary for us to humble ourselves before God and submit to His Will when we are tempted. What could happen to us when we face similar temptations? Sometimes we attempt to make inanimate things of life into a necessity that we could actually do without. You have heard a saying, “our eyes are bigger than our stomachs”; sometimes we think we need the latest phone or the newest item that comes along even when we can’t afford it. The sad reality is that we all have given into so many temptations that we no longer consider them temptations. We no longer consider giving in to over-indulging as gluttony. We now say that we’re being truthful even when we’re giving into the sin of detraction and calumny. We are so saturated with sensual images and innuendos in media that we no longer consider impure thoughts and actions as sin of lust. Have we at times dressed up our sinful behaviors as something good that God would want for us? It’s time for us to form our conscience through the Word of God and the teachings of the Church in order for us to be the person God created us to be. Make no mistake; God is only desiring that which is good for us. He created us out of love, and we are made to love--to love the Good, the True, and the Beautiful. We will never be free of trials and temptations as long as our earthly life lasts. Therefore, we should always be on our guard against temptations, always praying that our enemy, the devil, who never sleeps but constantly looks for someone to devour (1 Pet 5:8), will not catch us off guard. … [In times of temptation] wait for the Lord, act bravely, and have courage. Do not lose trust. Do not turn back but devote your body and soul constantly to God's glory. I will reward you most plentifully. I will be with you in every tribulation. After 10 years, you would think that if something repeats every year, you would catch on to the pattern. But I just realized this year that the Ash Wednesday scripture readings are the same every year! How’s that for a slow learner! 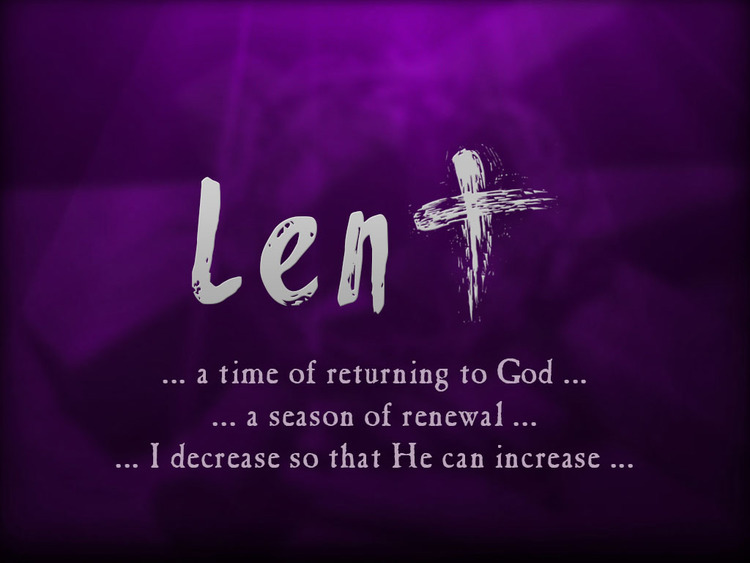 The scriptures from this day which marks the beginning of Lent, urge us to reflect and change the habits that drive a wedge between us and God. We come humbly as children of God--white, black, Asian, Latinos, the poor, the rich, the good, and the bad --to put ashes on our forehead to remind us that we all share a common destination: death and eternal life. 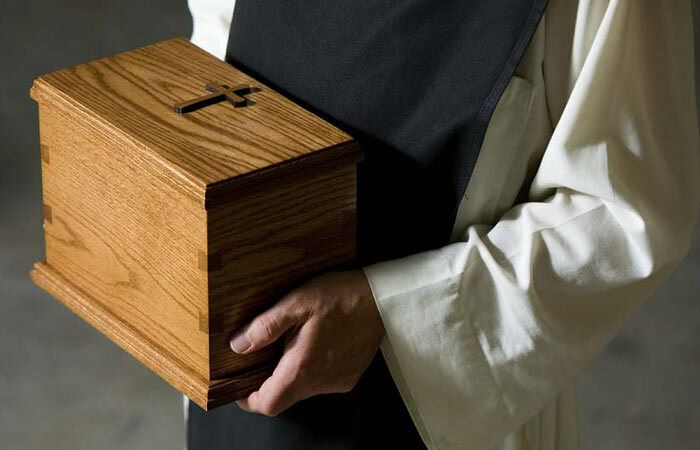 I have not forgotten the funeral I did 10 years ago when a family member handed me their loved one’s cremated remains in a Ziploc bag. It was a stark reminder of the Book of Genesis where God tells Adam after the Fall, “By the sweat of your brow you shall eat bread, Until you return to the ground, from which you were taken; For you are dust, and to dust, you shall return. (Genesis 3:19) What a wake-up call for all of us that even though we work so hard to become somebody while we are alive, in the end, we become a handful of dust.